At this time three years ago, I was in Spain walking Camino de Santiago. So, I’ve found myself lately day dreaming about my experiences and wondering when and if I will ever get back there to do it all over again. Something I probably didn’t blog about at the time, because I was trying to stay positive, was the difficulty I had with food. Due to stomach issues I had even before I left Australia, I was able to eat very little and some days I could only get orange juice down. I like to think that I was powered over the Pyrenees and across Spain by freshly squeezed orange juice. I loved to watch juicers similar to the one in the photo, doing their work. 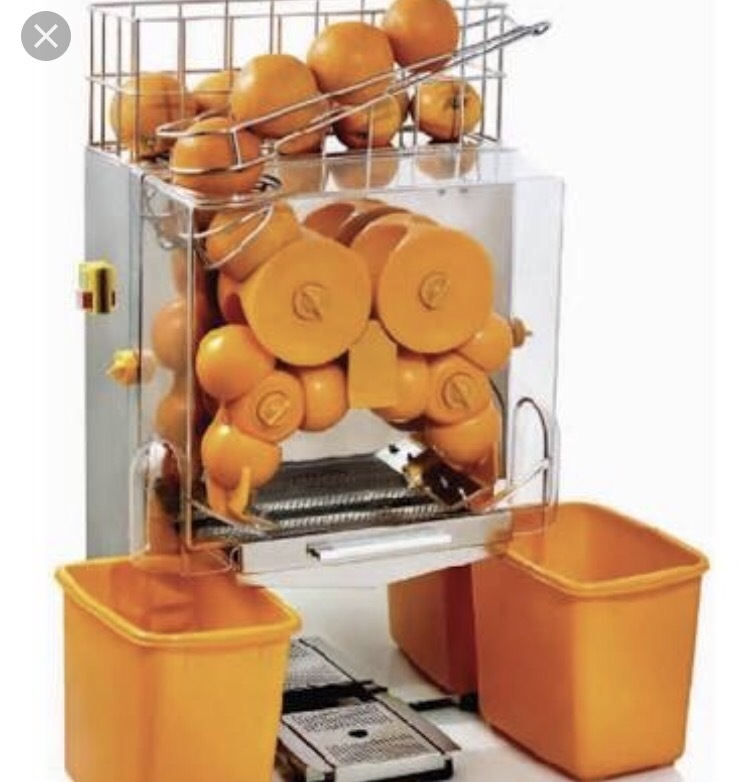 I remember being starving and salivating while waiting for the orange to travel through the juicer. One of the foods that I did manage to eat a very small portion of a couple of times was a Spanish Tortilla. This I loved and would have relished being able to eat more of and more often. I promised myself that when those stomach problems were overcome, I would bake one of these Spanish Tortillas. Of course, once home and back into the humdrum of life, I forgot all about it. That is until my mind started to wander recently. I’ve chased up a recipe which looks so simple that I plan to try it. The recipe is included below. I thought you might like to try it. Let me know if you do and what variations you made. Set a flat, rimless plate that’s at least as wide as the skillet upside down over the pan. Lift the skillet off the burner and, with one hand against the plate and the other holding the skillet’s handle, invert the skillet so the tortilla lands on the plate (it should fall right out). Set the pan back on the heat and slide the tortilla into it, using the skimmer to push any stray potatoes back in under the eggs as the tortilla slides off the plate. Once the tortilla is back in the pan, tuck the edges in and under itself (to neaten the sides). Cook until a skewer inserted into the center comes out clean, hot, and with no uncooked egg on it, another 5 to 6 minutes. Sorry about spelling words etc!! My daughter’s godfather is from Spain and his mother makes this every time we go over for dinner. So good!